Yannick Alléno is the only chef who owns two Michelin three-starred restaurants in France; in “Pavilion Ledoyen”, the popular restaurant in Paris and in “Le 1947 at Cheval Blanc” in the ski resort, Courchevel. He has brought a revolution to French cuisine and is distinguished for his unique and creative modern style. Retaining three stars in the Michelin Guide since 2007, he is also a globally prominent chef possessing 16 restaurants around the world; in France, Morocco, Dubai, China, Hong Kong, and South Korea. 1968　Born on December 16th in Puteaux in France, Yannick spent his childhood in the kitchens of bistros run by his family. 2001　Received the Order of Agricultural Merit (Ordre du Mérite agricole). 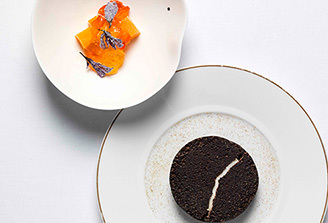 2003　Took over at Le Meurice, a famous palace-hotel in Paris and awarded two Michelin stars in the following year 2004. 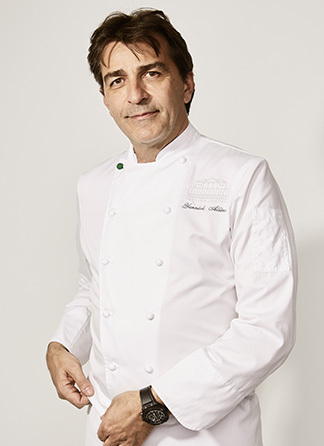 2007　Honored with the third Michelin star at the age of 40, he received the National Order of Merit (Ordre national du Mérite) and the Order of Arts and Letters (Ordre des Arts et des Lettres) in the same year. He was chosen as the Chef of the Year in the following year. 2014　Opened Alléno Paris in Pavilion Ledoyen presenting with his name. 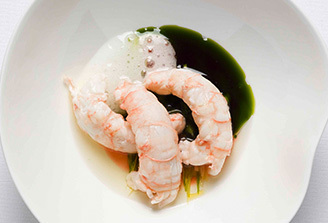 The restaurant was awarded three Michelin stars the following year 2015 and still now retaining its prestigious position. 2017　Le 1947 in Courchevel in France was rewarded with three Michelin stars. In 2013, established revolutionary patented technique, Extractions®: by cooking each ingredient at the right temperature, enabling elements to render and develop their purest flavors and minerality without adding any fat or other ingredients. This has opened up new possibilities of sauces, which is the backbone of French cuisine. 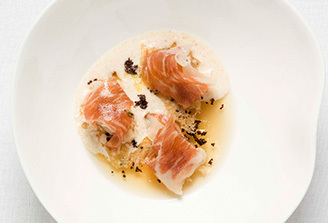 In the next chapter, he focused on fermentation to bring out the true signature of flavors originated in the terroir.